Eliminate manual data entry and increase productivity with Flow Software EDI. Eliminate manual entry, improve data accuracy, streamline transactions, increase productivity, reduce costs, enhance working relationships with your business partners and get paid faster – all through EDI integration with trading partners. Make your business smarter, faster and more efficient by integrating your existing business applications and automating Electronic Data Interchange with trading partners of all sizes. 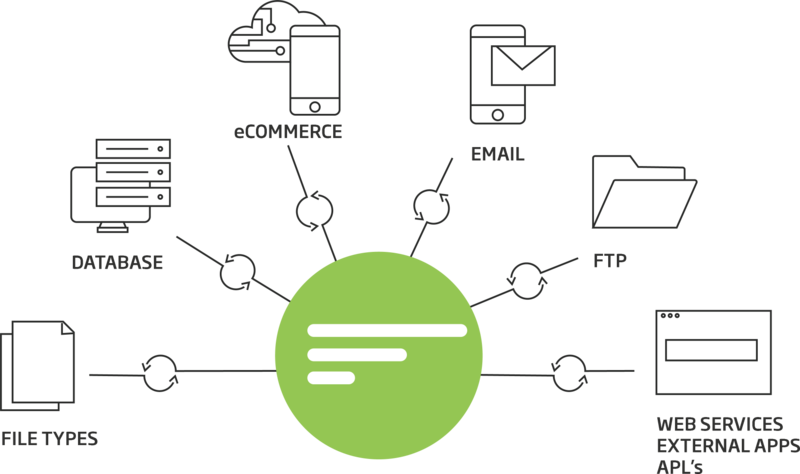 With EDI messaging and integration, you’ll get real-time exchange of critical data for any application, trading partner or data format. Automate your business processes and eliminate manual data entry. We’ve deployed mission-critical data integration and EDI platforms for hundreds of businesses, specialising in building pre-configured partner adapters to seamlessly connect trading partners with the likes of Woolworths and Foodstuffs. What’s more, with Flow in place, businesses can go on to you can take advantage of the full integration capabilities and operational efficiencies that a middleware platform like Flow offers. Automating business processes eliminates manual data entry and improves data accuracy. EDI provides real-time automated data transfer between trading partners. Flow EDI eliminates manual processing and the associated back office costs and reduces warehouse inefficiencies. Reduce the order-to-cash cycle time whilst improving data quality and relationships with trading partners. Empower staff to add increased value to customer experience and build stronger business relationships. Here is a selection of Flow EDI Connections. Contact us to discuss your trading partner connections.